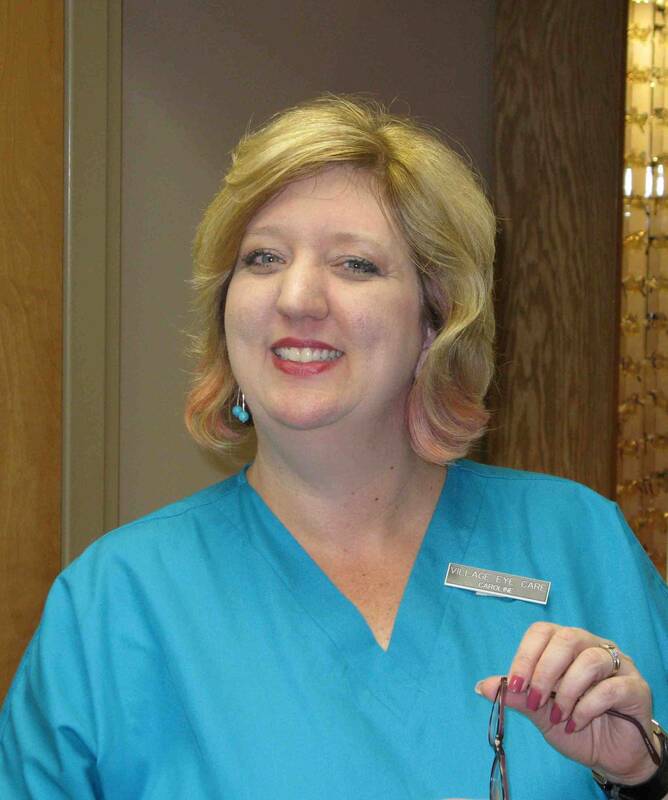 Home » Our Staff » Caroline H.
Optometry has been an important part of my life for close to 30 years. My passion is to make the world a better place to see!! Since 1983 I have seen some awesome changes in eye care and am looking forward to what the future holds. It is such an honor to be associated with a profession that is so vital in the everyday lives of all. I have met many people that I not only call patient, but friend. We are one happy family here at Village Eye Care and are willing to meet all of your optical needs. It’s exciting to be a key part of a progressive, leading edge practice. It’s one of my jobs though to make sure that you’re comfortable being here and feel welcomed. We know the technology can be overwhelming for some patients. If you have any suggestions to help us reach our goal of – ‘community first – always!’ – please let me know!